EXP Series braided sleeving is a strong, expandable product that protects cables from abrasion, cuts, and UV light damage. A cost effective way to attractively bundle multiple wires, harnesses, cables, hoses and tubing to create a streamlined appearance. EXP Series braided sleeving is a strong, expandable product that protects cables from abrasion, cuts, and UV light damage. A cost effective way to attractively bundle multiple wires, harnesses, cables, hoses and tubing to create a streamlined appearance. EXP Series braided sleeving is a strong, expandable product that protects cables from abrasion, cuts, and UV light damage. A cost effective way to attractively bundle multiple wires, harnesses, cables, hoses and tubing to create a streamlined appearance. The EXP-HK1 is a fast-heating bench mount hot knife for cutting EXP series sleeving. Provides a quick, clean cut and finished end for expandable braided sleeving. 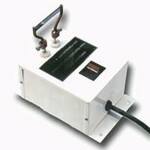 Lighted switch, 110 VAC unit. White.